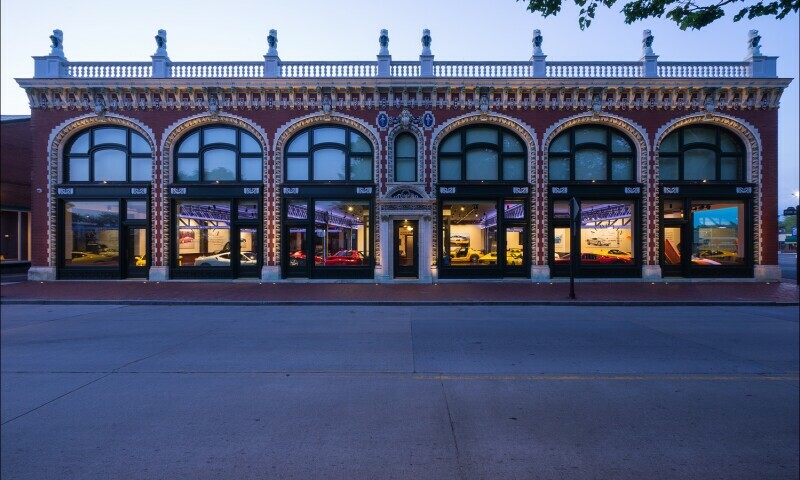 Located in Newport, Rhode Island, the Audrain Automobile Museum has a mission to preserve and present automotive history while connecting and engaging with the community as a whole. Established in 2014, the Museum transformed the historic Audrain Building into a captivating display floor. The Audrain represents one of the four Gilded Age buildings that form an architecturally significant block on Bellevue Avenue. The Museum has access to collections of over 200 cars, allowing for three exhibitions a year. Ranging from Brass Era pre-War cars to Supercars of the 2000s, the Museum is dedicated to entertaining all generations and stylistic preferences. As the Museum continues to grow, so does its status as a must stop destination for both car enthusiasts and Newport visitors alike.